In addition, round timbers are 50 percent stronger and more durable than milled wood with a weight-to-strength ratio comparable to steel. Round timbers also often can be sourced and processed within miles of a building site. 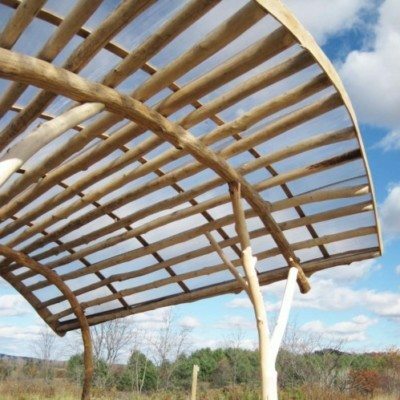 In the case of EcoPark, the trees were sourced 12 miles from the project site, utilizing a local, renewable, energy-efficient and beautiful resource.